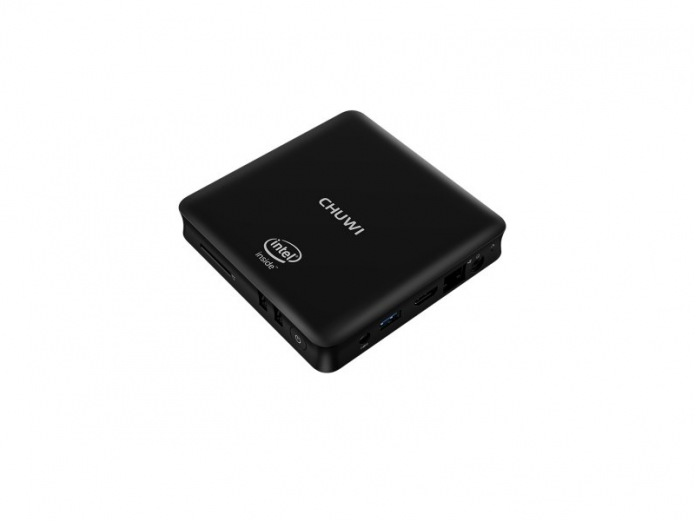 Previously, we have reported the latest news about Chuwi MINI PC, called Chuwi HIBOX Mini PC, which is the first mini pc for Chuwi. As you know, Chuwi is one of the most Tablet PC manufacturers in China, they have also expanded their product lines not only Tablet PCs. Right now this Chuwi HIBox Mini PC can be the best example, so will they have any advantage to produce MINI PC? In terms of design, Chuwi HIBOX has 12.00 x 12.00 x 2.50 cm dimensions which is very compact and portable, it has adopted the streamlined edges, as for interface, it also comes with a 3.5mm earphone jack, DC Power Port, a Ethernet, a HDMI, Micro SD card slot, a USB 2.0 and a USB 3.0 port, from the connectivity, we can see Chuwi has made the humanized design for users in two different standard of USB port. The overall design is quite compact but beautiful.